Another Recession Around the Corner? A Realtor.com  article entitled “Recession Watch: Will Another Downturn Rock the Housing Market?” explores the possibility of another economic downtown and the consequences thereafter. In the piece, Clare Trapasso, Senior News Editor for Realtor.com quotes a Gallup Poll, pointing out that about 39 percent of Americans think the economy is slowing down, while 17 percent think we're already in a recession or depression. She noted that the previous financial crisis was brought about by a deluge of bad mortgages. Now that the housing boom seen over the past decade is slowing, some economists are concerned about a recession lurking around the corner. Although some believe we will see a recession soon, the financial factors that helped instigate last decade's crash are very different now. “We’re at a record-low level of unemployment. The economy can’t stay here," said Chief Economist Danielle Hale, Chief Economist at Realtor.com. She forecasts a recession beginning within the next two years. “This one will be mild," Hale added. "We're just scared because of what happened last time. 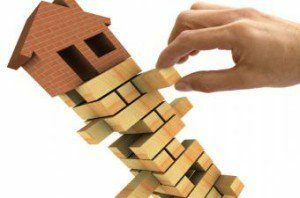 And that's not what's going to happen again," said Lisa Sturtevant, a housing consultant and Chief Economist at Virginia Realtors, the state's real estate association. The article indicated that most economists believe that, if a downturn does hit, it will be “brief and not nearly as painful as the last one.” Unemployment, currently at an extremely low rate at 4 percent, is projected to rise. However, economists don't foresee widespread layoffs leading to scores of foreclosures and plunging home prices, as was observed during the 2008 crisis. Addressing home prices in the wake of a possible recession, economists say prices aren't expected to plummet, although they may dip in more expensive markets. Overall, price appreciation will likely just continue to slow. "If there is a recession, the people with stable jobs will see it as a second-chance opportunity to buy a home," says Lawrence Yun, Chief Economist of the National Association of Realtors. Yun does not anticipate a recession this year, or next. The article noted that the luxury market, which is the priciest 5 percent of homes in any area, will also probably be affected. A cause of worry in the wake of a recession is the shortage of housing. The pace of single-family home construction growth has recorded a decline from 9 percent in 2017 to about 3 percent in 2018. This is projected to decline further by 2 percent in 2019. Rent price growth is likely to slow with the exception of the luxury market, where landlords will have the most trouble finding tenants.